Stephen Mulder received his Bachelor’s Degree from Dordt College (Sioux Center, IA) in 1989, and a Master’s Degree (1994) and Ph.D. (1997) from Florida State University. Stephen Mulder came to Georgia in the Fall of 2000 to be an Assistant Professor of Music at Gordon College. Prior to his position at Gordon College, Dr. Mulder had conducted the Women’s Glee Chorus at the University of North Carolina at Chapel Hill. Dr. Mulder has extensive community chorus experience. He served as the Assistant Conductor of the Concert Singers of Cary (NC) from 1997 to 2000, helping establish their Chamber Choir and Children’s Chorus. 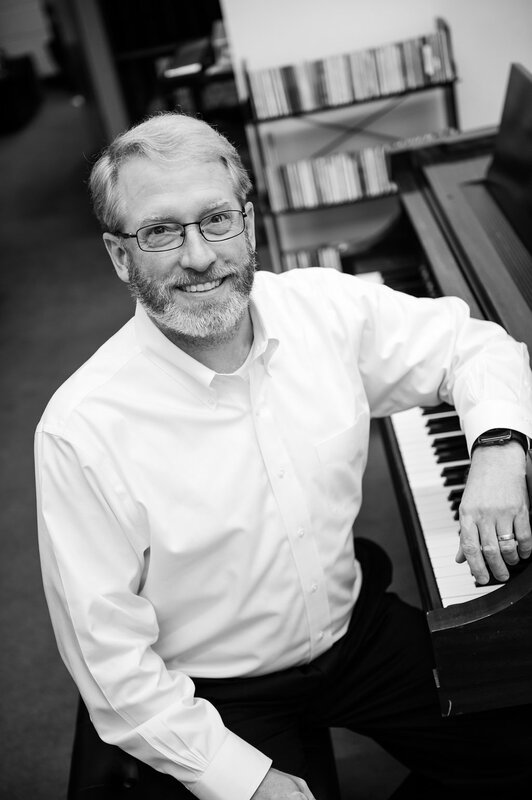 He has also sung and served in various capacities with the Tallahassee Community Chorus, the Key Chorale (Siesta Key, FL), Gloria Musicae (Sarasota, FL), the Choral Society of Durham (NC) and the Vocal Arts Ensemble of Durham (NC). His choral training has been colored by many renowned conductors and teachers including Dale Grotenhuis, Andre Thomas, Rodney Eichenberger, David Brunner, Rodney Wynkoop, and Daniel Moe. He has also assisted with choral projects for John Rutter, Don Moses and Robert Shaw. 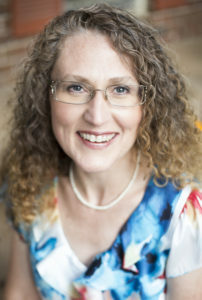 Kitty Grubbs received her Bachelor’s Degree in Piano Performance from Georgia Southern University. She went on to work on her Master’s Degree in piano pedagogy from Georgia State University. Mrs. Grubbs returned to Griffin and has taught private piano lessons in the area for over 35 years. She is very involved in the Griffin Music Club and is the pianist for Eagles Way Church in Griffin. Kitty released a piano solo CD in 1995 which was titled “Rest in God’s Love” and was an instrumental compilation of favorite hymns and original compositions. 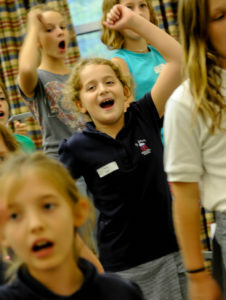 Kitty has performed in the community as a soloist and accompanist and is thrilled to be a part of Griffin Choral Arts. Tracy Threlkeld earned her Bachelors of Arts in Music in 2015. In August 2014, while attending school, she opened Threlkeld Academy of Music and Arts in Fayetteville where she teaches beginning and intermediate piano students. In addition to her lessons, the academy has two additional piano teachers and offers private lessons in all brass instruments, violin, cello, percussion, voice, flute, and guitar. 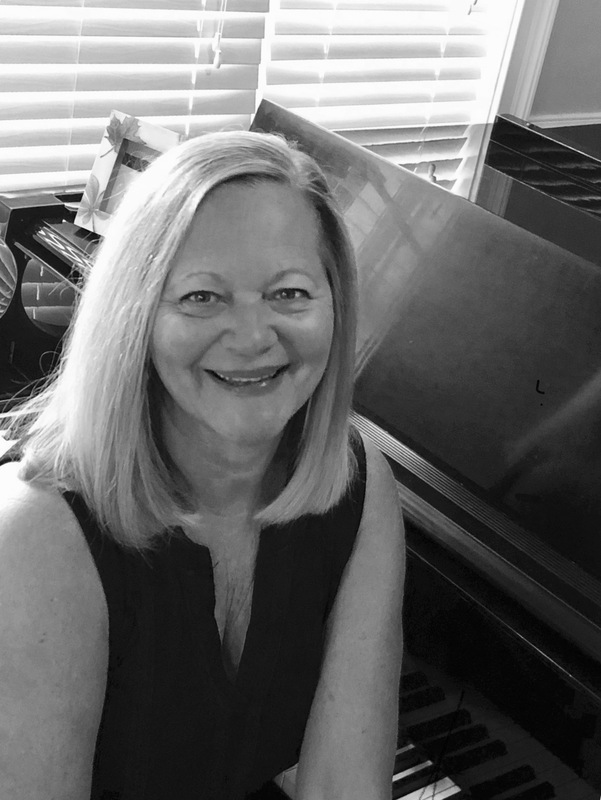 Beginning the summer of 2015 Tracy assisted Dr. Stephen Mulder in organizing the Griffin Choral Arts Children’s Chorus and mentored with him in its inaugural season in 2016-1017. Tracy has served extensively over the last 30 years in children’s ministry and music programs as a regional and local leader and teacher. Tracy lives in Fayetteville and has 4 children.